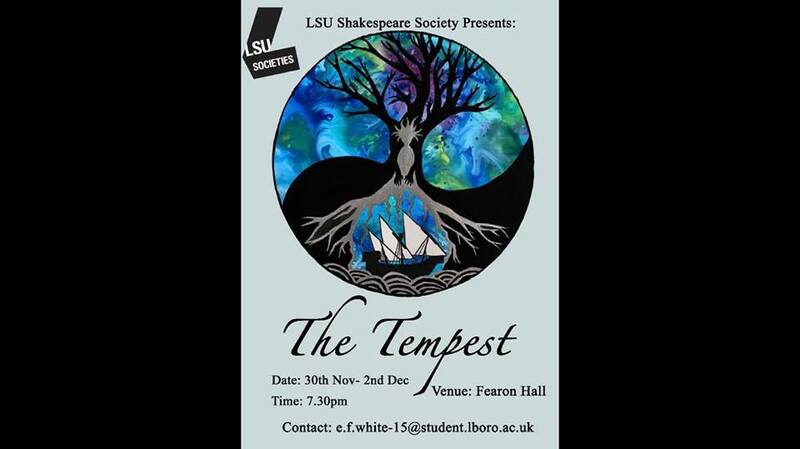 This week at Fearon Hall in Loughborough, LSU Shakespeare Society are putting on a production of the magical drama, The Tempest. The group is a mix of undergraduates and postgraduates, united by a passion for theatre and performing the works of the Bard, in a variety of entertaining and sometimes very unique arrangements. They aim to put on three shows a year – one per term – using an imaginative range of styles and motifs to showcase works in both traditional and contemporary settings. Twelve years ago, Prospero, the Duke of Milan, was usurped by his sister, Antonia. With the help of Gonzala, Prospero and his daughter, Miranda, escaped death. Drifting on a raft, they eventually ended up on a remote island. The only inhabitant, a deformed and savage creature called Caliban, Prospero took as a slave. He used his magic to free various spirits, including Ariel, from the trees of the isle, taking them into his service too. And there they’ve lived since, alone. Until today. The Queen of Naples, Alonsa; her son, Ferdinand; her brother, Sebastian; Antonia; and Gonzala, are all on a ship passing near the isle. Prospero summons a magical storm, The Tempest, to shipwreck them on his island, and sets about using magic and manipulation to try and right all that was wronged twelve years ago. The ship’s passengers, cast up on the island, believe their ship to be destroyed, and many to be dead, including Alonsa’s own son, Ferdinand. Ferdinand has, in fact, come ashore on another part of the isle, and stumbles upon the island’s inhabitants, Prospero and Miranda, quickly to fall in love with the young maiden. Also washed up on the island are courtier’s Stephano and Trinculo, who Caliban finds and recruits to help him overthrow his malevolent master, Prospero. We’d firstly like to thank all the cast and crew who have worked so hard to help us bring our vision to life. It’s been a true joy to direct and write the music for this performance, and we hope you enjoy the show that we’re so proud of creating! A play full of fantasy and magic is not an easy thing to portray, so the help we’ve received from everyone involved has been incredible. We’re a small society so we don’t have full teams of people behind our shows, just an awful lot of hard work from some very dedicated people. Our cast contains lots of new society members who have grown into integral parts of the Shakespeare family, and who we’re so happy to have! The society has offered us all a place to be ourselves and to gain a group of people who we know will always be on our side through future projects. We hope that we’re able to inject a little bit of magic into your evening, and that we see you at our other shows later this year!